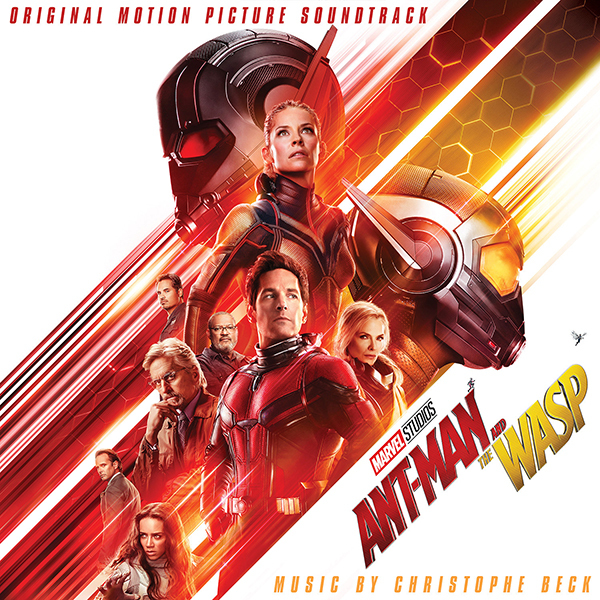 Marvel Music/Hollywood Records are releasing Marvel Studios’ Ant-Man and The Wasp digital soundtrack, featuring score by award-winning composer Christophe Beck (“Frozen,” “Trolls,” “Ant-Man”). Marvel Studios’ Ant-Man and The Wasp opens in U.S. theaters today. Beck’s diversity as a composer is evident in his body of work ranging from comedy (“The Hangover,” “American Pie,” “Hot Tub Time Machine”), documentaries (“Red Army,” “Waiting for Superman,” “We Are Marshall”) to romantic comedies (“American Made,” “The Muppets,” and “Crazy, Stupid, Love”). Beck scored the Golden Globe®- and Oscar®-winning animated film Disney’s “Frozen” (its soundtrack album has sold over 4 million copies and won a Grammy® for Best Compilation Soundtrack for Visual Media). Beck’s breakthrough success came via composing music for the TV series “Buffy the Vampire Slayer,” for which he earned an Emmy®.